Training or capacity building is one of the major objectives of FCRI. The professionals and people from developing countries are offered unique training courses at this prestigious centre of excellence. With his objective in view, FCRI has successfully conducted more than 175 National training programs and 75 International Training programs so far. FCRI also offers specialized tailor made training programs for executives/technicians in specified areas for interested organizations. Such programs have been conducted for industries like GAIL, ONGC, IPCL, Weights & Measures Department, Water Authority etc. 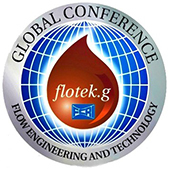 Training on Instrumentation and Control & Data Acquisition System in Fluid Flow in Process and Petroleum Engineering. Training program on Quality System Certification (ISO 9001) & Six sigma practices for Organizations / Laboratories (Testing & Calibration). More than 950 participants from the following 82 countries had undergone training in FCRI sponsored by Ministry of External Affairs, Govt. of India.